Every time someone asks me this question, “Do you do yoga?”, I get quite anxious. Yoga, to me, is complicated — it’s certainly more than just a physical fitness regime, yet I am also deeply skeptical of many of the claims made to legitimise yoga, like its historicity versus the claims to a deeper antiquity. Perhaps this is part of my own cultural conditioning related to the power structures of Western knowledge production, which forces local knowledge systems to adapt to seem relevant and credible, which crushes local ways of knowing and being. This epistemological hegemony is part of a much deeper discussion about colonisation, which is very important. You might find this other article I’ve written on this topic worth reading. When someone says to me: “Do you do yoga?” or “I do yoga.” I’m often left wondering …what do they mean by ‘yoga’. For me, life get’s interesting at the point when we start splitting hairs. I don’t deal with ambiguity all that well. logos — The appeal to reason. pathos — The appeal to emotion. ethos — The persuasive appeal of one’s character. David White (p. 65) has an interesting explanation of this as well in his book Sinister Yogis. ​So, if we are going back to 1st principles, then, I guess, this is it. But, of course, like I said above, the common idea of ‘yoga’ that many people have today, is based not on this earliest attested meaning. Still, I think this is important to do, since there are many examples of marketing that try to link haṭha yoga with the vedic culture, and even the Indus Valley Culture, which predates the arrival of Sanskrit-speaking nomads into the Punjab by several centuries. As I said above, it’s complicated. For instance, the claims made by Yogapedia are dubious at least. As the scholars working on the Haṭha Yoga Project explain, haṭha yoga really only started to develop around the 11th century, with ideas linked to the mudras and bandhas, which, as the Luminescent explains, evolved out of a distinctly Buddhist milieu. The physical ‘stretchy’ stuff evolved later, around the 15–16th centuries. This is clearly not “10,000 years ago”. Epistemological violence is produced when empirical data are interpreted as showing the inferiority of the Other or when the Other is problematized, even when the data allow for equally viable alternative interpretations. Interpretations of inferiority or problematizations are never determined by empirical results; yet, they have a negative impact and may produce harm in relation to the Other. Thus, I suggest that interpretations can be violent, particularly when interpretations are presented as knowledge. The concept also shows that epistemological and ethical issues are often intertwined in empirical social research. Ideas, consequences, and practices surrounding this concept are discussed. The question we need to ask is: What is the data being discussed in relation to the historicity of yoga? If the historicity of the original Sanskrit texts on haṭha yoga tell us a different story to the imagined ones of the Indian state and the yoga industrial complex, then we are critiquing opinions instead of facts. As the data do not allow for “equally viable alternative interpretations”, it seems, then, that there is little grounds to apply the charge of epistemological violence, in this case. This is because there are many people, all around the world, who believe that yoga, particularly haṭha yoga (as the precursor to modern yoga) is “ancient”, “eternal” and “timeless”. 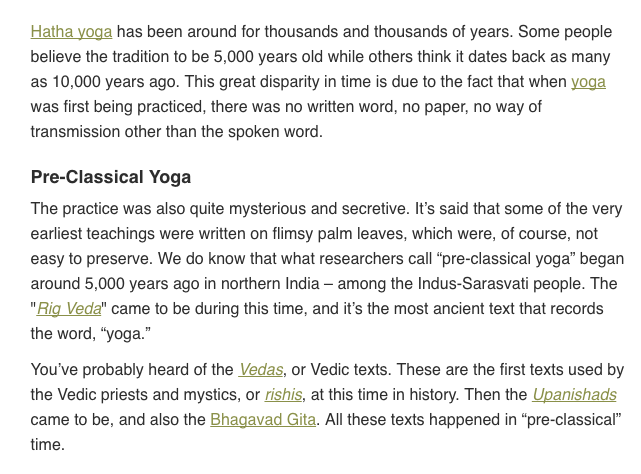 As the Yogapedia quote above asserts, haṭha yoga is apparently “10,000 years old”. Yet, the historicity of the development of these ideas and related practices, found in the primary Sanskrit texts themselves, tell a different, more recent story. Consequently, the creation of a Hindu state is projected as a legitimate objective. The unbroken descent of Hindu ancestry and religion from earliest times, according to this school of thought, legitimises the primacy of Hindus in the present, and takes up from Max Mueller’s construction of a superior Aryan culture and the Aryan foundations of Indian (read Hindu) civilisation. Interestingly, it was the Theosophists, and in particular Colonel Olcott, who first propagated this theory in the late nineteenth century. Olcott argued that the Aryans were indigenous to India and took civilisation from India to the West. This theory is now being promoted by Hindutva, but with no reference to the colonial view where the origins lie. Personally, I don’t really do much in the way of ‘yoga’ and meditation these days. Sure, 20 years ago, I did 90 mins of āsana, 10k rounds of bhastrikā, and pratyāhāra-ed my way in lots of sublime spaces. However, today, my ‘practice’ has evolved into something that is basically just calisthenics. I prefer to cycle, hike and sweat. The way in which my thoughts fall away through the monotony of rhythm soothes me. These embodied practices are how I choose to process things. Before, 20+ years ago, I got into modern postural yoga through illness. I couldn’t walk properly. The GP sent me to the physio, who gave me some stretching programme to do. And, if I didn’t do it, daily, then I ended up on crutches or in a wheel chair. I later came across yoga in my sister’s DOLLY teenage girl magazine. I then started going to classes. By the age of 20, I was teaching a few classes a week. I then became a ‘yoga zealot’ for a while. This phase passed, thankfully. This is probably about where someone might cite the U-turn theory. 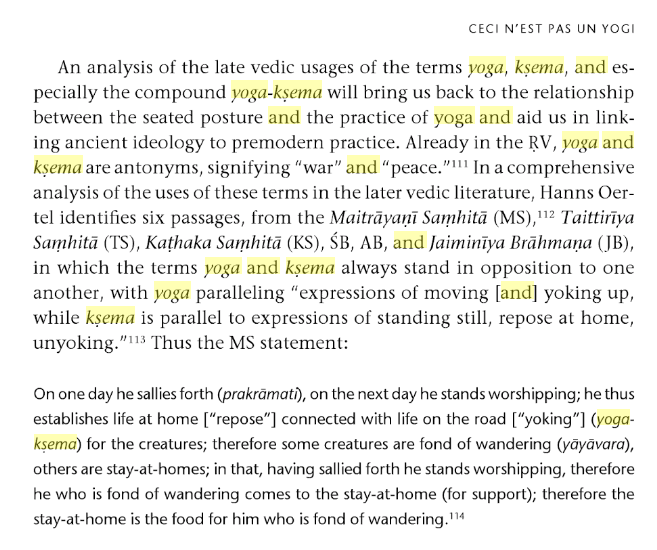 Now, my interest in yoga is certainly more academic. I still do a few rounds of sun salutations to warm up in the morning. I use a netī pot once in a while, to clean out my sinuses. I used to chant mantras and sing kīrtana all the time. 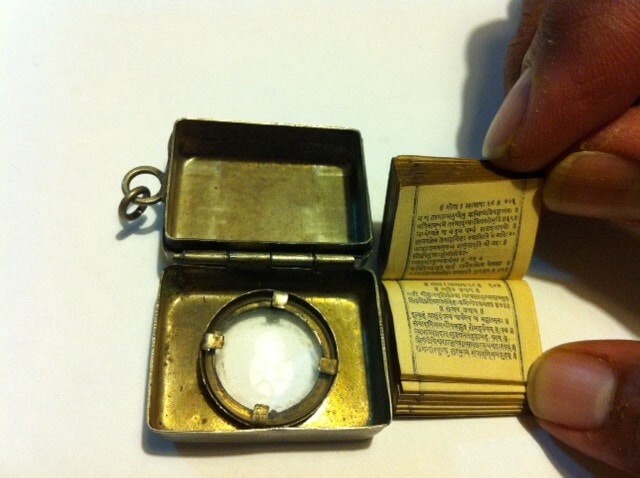 For many years, I carried around a tiny copy of the Bhagavad Gītā. Instead of reaching for the smart phone, I would pull out a tiny copy of the book. I estimate that, over the years, I’ve perhaps chanted this book in excess of 500 times. In total, the 700 verses take about 3.5 hrs to complete. But, these days, it just doesn’t seem to be as important. ​Particularly, when I started to look at the context in which this text was created. I mean, have you ever stopped to think about the Bhagavad Gītā as a historical text? Or, have you just accepted that it is, in some way, a mystically timeless text? I learnt more about the Gita from Ambedkar, who is largely responsible for writing Indian’s Constitution. He was a Dalit, an untouchable, whose community suffers terribly, to this day, at the hands of the majority, Hindu society. If you want to know more about ‘Dalit oppression’, then, I suggest you start here. To understand more of what Ambedkar means by “counter revolution”, the chapter below is enlightening. I’m simply too curious about many things. Especially when the cognitive dissonance grew around learning from many teachers in the 7 years I spent living in India. I was simply not able to spiritually bypass so many things. These events only peaked my curiosity about the sociology of spirituality, the anthropology of religion, the economics of desire, and the politics of imagination. And have fuelled my desire to know more about the sunny fields, and the shadowlands, of global yoga. Yoga, to me, means many different things. It’s a good workout, it’s part of the rich and diverse tapestry of Indian culture and history, it’s a multibillion dollar global industry, and it’s used by various people to create cultural capital and by the Indian state as part of its soft power initiatives. But, ultimately my study of yoga has offered me an epistemology in which to see and interact with the objective reality. I have a new article, which is coming out in the next volume of Ethnologia Actualis. The title is: Suggesting Śāntarasa in Shanti Mandir’s Satsaṅga: Ritual, Performativity and Ethnography in Yogaland. 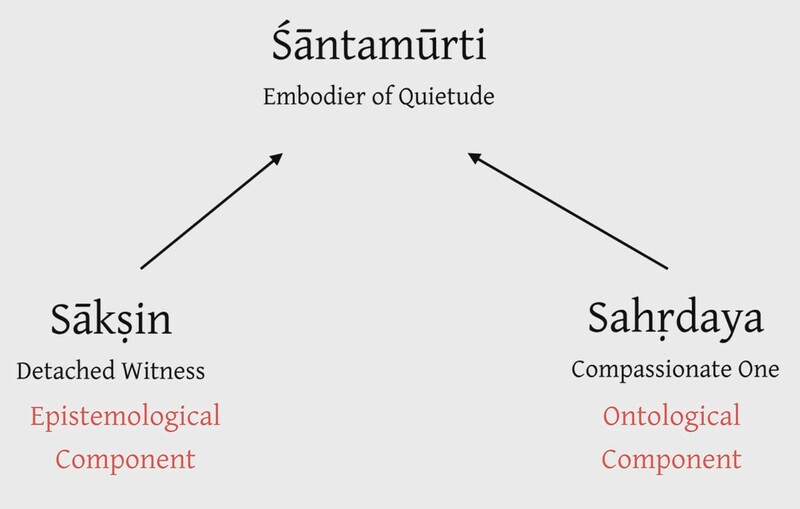 For some context, satsaṅga is situated as an educational domain where culturally specific knowledge about how to embody śānti and become a śāntamūrti (“one whose body is calmed”) are suggested. This occurs through a combination of the charming rhetorical style of the guru’s didactic exposition (pravacana) with the other performative elements (viśiṣṭa-samāgrī), which are inherent in this ritualised domain. I thought I would share an abridged version, here. Briefly, it is worth explaining why I add these comments. It is an explanation to those within the Shanti Mandir community who were not interested in understanding and appreciating the core aims of my project. Perhaps, I also share some portion of the confusion through having not been able to cogently articulate my intentions. In an attempt at cross-cultural dialogue, and a playful, cathartic, theoretical exercise, I briefly explain how the Continental, post-structuralist sociology and the Indian philosophical tradition of Advaita Vedānta, share similar epistemological standpoints. The sahṛdaya is a central concept to rasavāda and the epistemology of Advaita Vedānta, which sits at the core of Shanti Mandir’s approach. The sākṣin is the foundation of Advaita Vedānta’s jñāna-yoga epistemology; and, therefore, it is also fundamental to Shanti Mandir’s legitimate yogic disposition. Within a legal framework, a sākṣiṇi is “one who testifies,” i.e. 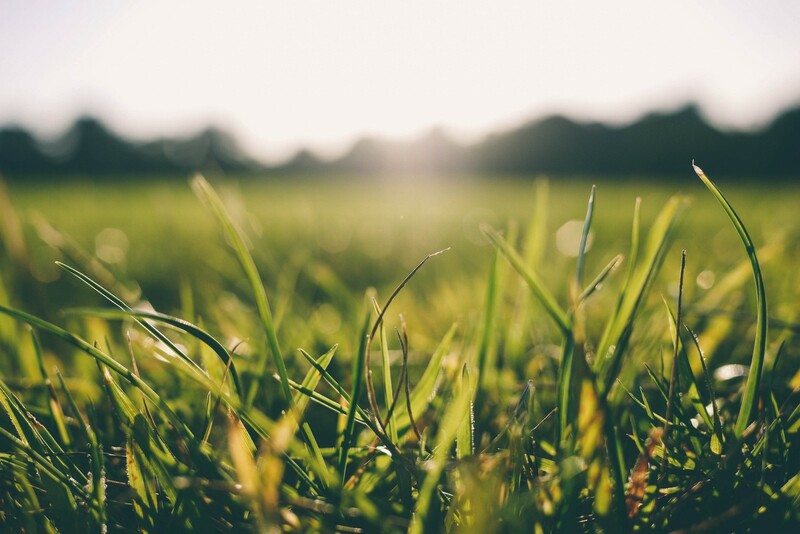 a “witness.” However, within the yogic episteme, the sākṣin is also considered an epistemological tool and a “field of awareness,” where phenomena are experienced. This sounds quite like Pierre Bourdieu’s concept of habitus, which was designed to create an epistemic break, or third-way, thus overriding the epistemic blind spots present in both structuralism and phenomenology. I am not, in any way, suggesting that these ideas are historically related. It simply struck me as interesting that these ideas are, somewhat, similar. The sākṣin also represents, or constitutes, an epistemic break, which draws the spectator into the relatively similar state of “participant objectification”. In the same way, the attitude of the witnessing approach (sākṣībhū) or gaze of the “disinterested witness,” as this term is quite often translated into, regards the practice, or method, of taking an abstract step back to observe one’s own life, as if dispassionately watching a movie whose characters one does not identify with. This epistemological technique is part of a reasonably popular meditation taught in yoga studios around the world. It is known as antar-mauna (inner-silence). This six-stage technique was developed and popularised by Svāmi Satyānanda (1923–2009), the founder of the Bihar School of Yoga. Regarding the practice, he says that, “When the mind is silent and peaceful it becomes very powerful. It can become a receptor of bliss and wisdom enabling life to become a spontaneous flow and expression of joy and harmony”. Instead of observing the field directly, the seer (draṣṭṛ) also observes one’s own reactions, biases and shortcomings to the act of observing the field. Thus, the agent’s own subjectivity is objectified, and we arrive at a similar state comparable to participant objectification. May we all experience freedom within ourselves. May we all share that freedom, that wisdom, with everyone. In the post-modernist age of epistemic relativism, where subjective opinions seem to be more valid than objective facts. The study of epistemology seems even more important. Perhaps this little insight provides you with a better understanding of the way in which I have come to understand, and approach, ヨーガ (yōga). Both personally and professionally. As an anthropologist, I think I am prone to spending too much time asking questions of others, prying into why they do things, asking maybe difficult questions, etc. This is an attempt to redress this, in some way. I’m happy to answer any questions you might have. BOURDIEU, P. and L. WACQUANT (1992): An Invitation to Reflexive Sociology. Chicago: The University of Chicago Press. 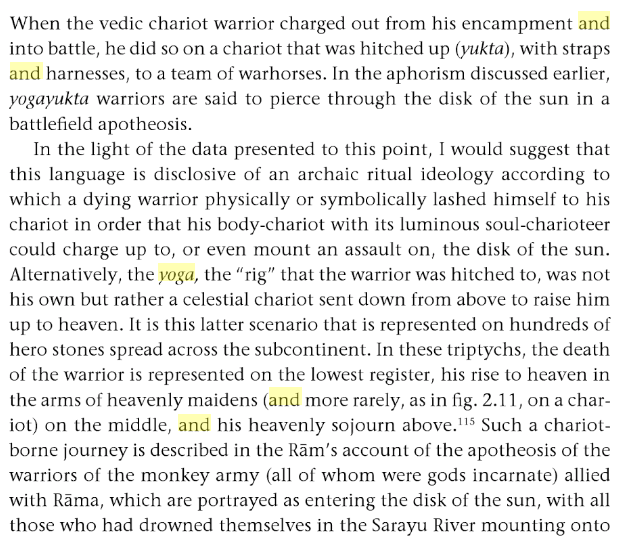 CHATTERJEE, T. (1982): The Concept of Sākṣin. In: Journal of Indian Philosophy 10:339–56. ATMATATTWANANDA, S. (2002): Antar Mouna. Yoga Magazine. [Online] 12th December 2017. http://www.yogamag.net/archives/2002/cmay02/amtarm.shtml. GUPTA, B. (1998): The Disinterested Witness: A Fragment of Advaita Vedānta Phenomenology, Illinois: Northwestern University Press. CHATTERJEE, T. (2003): Knowledge and Freedom in Indian Philosophy, Oxford: Lexington Books. BAUMAN, Z. (1990): Thinking Sociologically, Oxford: Basil Blackwell. CHEN, C. (2011): Movement(s). In: Habitus 2, Winter: 1–84. SHANTI MANDIR (2011): A Great Way to Live Life. In: Siddha Marg, pp. 1–8. YOGAPEDIA. (2017): Antar Mouna. [Online] 10th February 2017. https://www.yogapedia.com/definition/5892/antar-mouna. Patrick McCartney is a JSPS Post-Doctoral fellow at Kyoto University, Japan, a Visiting Fellow at the South and South-East Asian Studies Department, Australian University, Canberra; and, a Research Associate at Nanzan University Anthropological Institute, Nagoya, Japan. Patrick explores the politics of imagination, the sociology of spirituality, the anthropology of religion, and the economics of desire, in relation to the imaginative consumption of global yoga. Patrick’s current project focuses, specifically, on the Japanese yoga industry. You can follow this project at Yogascapes in Japan, and stay in contact via various social media options found on the website.